Hiking at Ceasar Creek State Park during first snow of the season. 1.) Children Are Running The Playground. I’ve seen this on the national level as the Orange Menace and Congress push a trickle-down economic plan. It didn’t work the first time around for Preble County — we enjoyed a 12 percent unemployment rate in its first year (1982). But I’ve grown tired of national politics and am more interested in the local children. The policies championed by local gatekeepers are failing — entrenching our poverty. In this crimson-red county, those who hold the purse strings, especially at the county level, have become less transparent and less willing to compromise for the good of our community. Emboldened, perhaps by 45*, these ineffective leaders need to face the scrutiny of a strong media presence and/or citizens so their behind-the-scenes actions can enjoy a little sunshine. 2.) The Drug Epidemic Is A Symptom Of Our Hopelessness. The drug epidemic claimed a family member’s life in November. He was my cousin, 32, a hard-working man employed in Montgomery County. He died of an apparent overdose, coincidentally, on the anniversary of my father’s death. His death is difficult to accept. It’s a painful reminder of our abysmal approach to drug use and abuse in southwest Ohio. 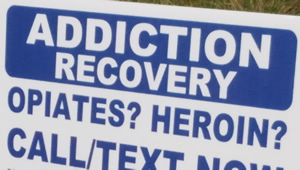 In Preble County those with addiction issues are often treated as sub-human. Our abandoned dogs receive more compassion than the chemically addicted. It is a top-down problem as the hypocrisy of our political leaders, especially those who have melded their fundamentalism with their political agenda, perpetuate long debunked myths about addiction. I have met my share of chemically-addicted individuals in the past five years and the most common thread, in the lives I see, is a disconnect with the community. Many here believe it is the church’s place to ‘help these people find a cure.’ If churches believe that, the first thing they should do is befriend a chemically-addicted individual. The second thing they should do is be quiet. When they are silent they can hear, and in listening, they may learn where we failed our community members — as too many of the chemically addicted are victims of horrific events. Save their soul, if that’s important to you, but begin by saving their life. And, as compassionate people keep our neighbors alive, gatekeepers can work to bring livable wage jobs here to help us pull out of the epidemic. It would be infinitely more valuable to our community than planning the construction of (yet another) building at the fairgrounds. Versa reflects on the condition of her soul. 4.) The Religious Right Is Wrong. I was raised in a white, evangelical church so I have a thorough understanding of their interpretation of the Bible. I’m also aware of their obsession with the afterlife as they postpone a quality life here to ensure a spot in the Treehouse in the Sky — and just as importantly — avoid an apartment in the Eternal Lake of Fire. At my age, a warm fire doesn’t sound so bad, but if there is a Hell my biggest fear is my roommate. If Hell is meant to torture, I’m stuck with Franklin Graham or Jerry Falwell Jr. — men who scream out in fear on a daily basis as they use their pulpits to decry gays, Democrats and Muslims (not necessarily in that order). If I had to listen to their impish drivel for an eternity — well, I think you get my point. The Religious Right should sell bumper stickers that say: Believe like us — or go to Hell. But if they want a heavenly afterlife, they need to read — then live — Matthew 25. It’s not complicated. 5.) David Thoreau Was Correct. In many ways, it seems to me, Thoreau lived in a time similar to ours. There was a significant portion of the country entrenched in anti-intellectualism with a religious force ‘proving’ that the immoral institution of slavery was, somehow, ‘God’s will.’ As the political dysfunction of Thoreau’s era eventually led to the Civil War, Thoreau found peace in the woods doing his work. When 2017 began I attended a Unitarian church in Eldorado — one that, unlike the fundamentalist/evangelicals, exemplifies the inclusivity of Jesus. In January, the minister spoke about ‘Now what’ and, referencing a scripture, she said we needed to plant our gardens, tend to our fields — or, in other words, do our work. Her message, and Thoreau’s approach of being in nature, became a practice for me. Although I was not able to attend the Unitarian church as much as planned, I hiked a lot of Ohio’s forests — finding peace and contentment despite the political mayhem created by a deplorable dotard. 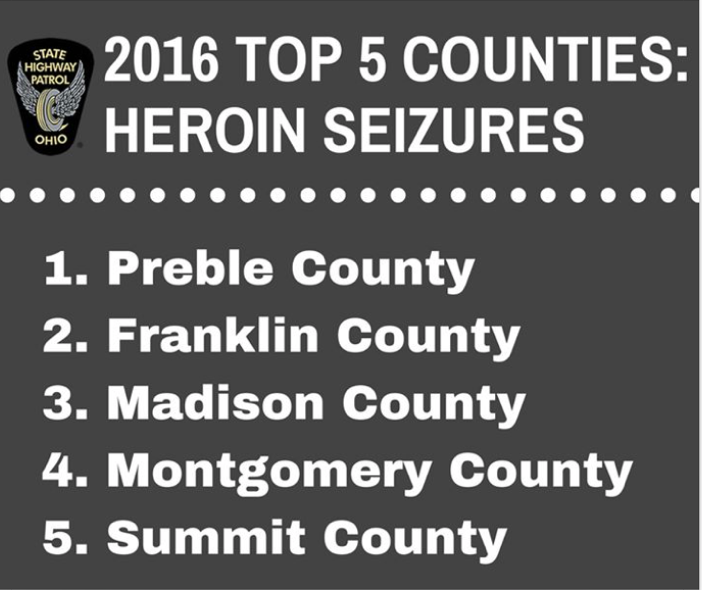 According to a report released by the Ohio State Patrol, Preble County outrank Ohio’s other 87 counties in the amount of heroin seized by the OSP inside its boundaries. When the Congressional aide for Warren Davidson answered the phone on Thursday, May 4 — he said yes, Davidson was supporting the American Health Care Act. I explained it would hurt Preble County — launching the aide into a sales pitch. I cut him off and the call ended with an awareness that my opinion was unwanted and unheard. Why would it be heard? I live in a gerrymandered district with a 2-1 spread favoring the GOP. …Reforms to Medicaid, work requirements for able-body adults, and defunding Planned Parenthood are no small victories. Americans are actively suffering under Obamacare…. Health care jobs have been on the rise for about five to six decades. Click on image to read more. Even though the statement directly contradicts reports of a growing health care economy (and its importance to Ohio) the ‘reforms to Medicaid’ are very problematic for his constituents which I attempted to explain to his aide. 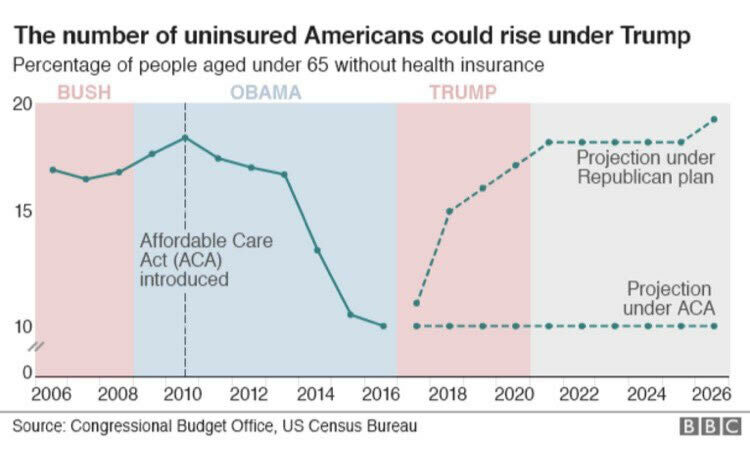 In Preble County, the ACA significantly reduced the number of uninsured — one report puts our uninsured at two percent, a 63 percent decrease in five years. This is due to the Medicaid element of the Act. The ACA is also helping in our battle with heroin. Another report suggests the poor and elderly will be most injured should the new legislation become law — which means Preble County is, once again, in the crosshairs since we are an impoverished, aging population. But, none of that matters, I suppose, because at the center of the debate is the government’s function. Is it to stay out of the way or is it to make a more equitable society? 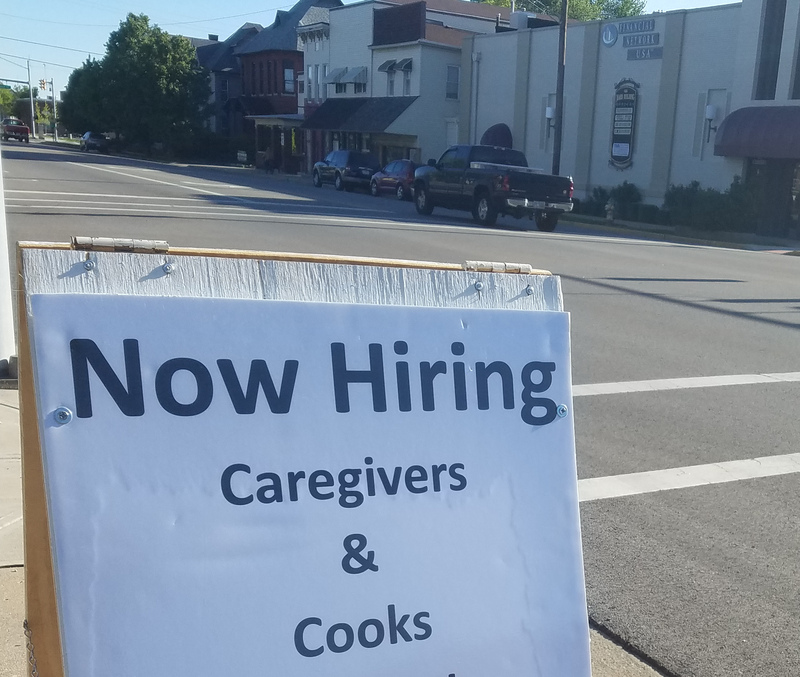 Help wanted sign in downtown Eaton. I live in a community where there is no shortage of people advising the disadvantaged that ‘all they need to do is git a job.’ People spew the advise with little regard concerning a person’s skill set or available employment. In this week’s community paper there were six job offers, mostly entry level work (and presumably without affordable health care). This is also a community which, according to the local rumor mill, has workplaces where some employees are using ‘hard drugs’ like heroin, meth, cocaine and LSD. The path out of this dilemma is not an aggressive paring down of health care, but rather funneling individuals with addictions through recovery services. And whether, Davidson, the Freedom Caucus, the Club for Growth or Freedom Works approve, this will need to be funded by tax dollars. 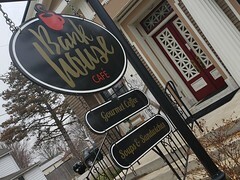 Localities like Preble County are too financially strapped to solve it without state and/or federal dollars. This bill is heartless, it is bad for Ohio and it will leave real Ohioans struggling to afford care. From my personal circle I know this to be true. Two individuals in my family circle had to seek treatment outside the county with one heading out of state. This is what residents inside Ohio’s 8th Congressional District are dealing with and gutting health care will exasperate the situation. We have two overwhelming needs in Preble County — increasing the availability of livable wage jobs and affordable mental health/drug addiction services. These are two situations Davidson could assist us with — if he chose to focus his energies on what the District needs instead of promoting some far-right ideology. The short-term solution in a heavily-favored GOP district is for the moderate Republicans to find a viable primary candidate to run against Davidson in 2018. A longer-term solution is for voters to demand that Ohio abandon its gerrymandering approach to U.S. Congressional Districts. It’s the only way voters can be assured their voice is heard. It will also promote a more unified populace since we Americans are willing to accept an opponent if the ‘fight was fair.’ Without a level playing field, we Americans are subjected to a top-down management system where representatives are nothing more than salesmen for special interest groups. When I read books about the colonial era, I’m always struck by the fundamental difference between the New England colony, populated mostly by educated Puritans, and the Virginia Colony, founded as a business venture and populated with the ‘refuse’ of Great Britain — which included my paternal line. In many ways, the distinction between the two major political parties were drawn in our colonial past. The New England colony was definitely influenced by Christianity and many of its laws promoted — and created — a more economically balanced society. Their political offspring would become the blue sections of the country. The Virginia Colony operated much differently. It never hid its class structure and the poor were manipulated by the ruling elite. In time many of Virginia’s lower class were known as mudsills. Mudsill is a term lost to history. It was the bottom plank of a log cabin. The weight of the cabin would drive the plank deeper and deeper into the mud creating a solid foundation for the edifice. The term is fitting, even today, as the class of people who suffer the most in our society are those at the lowest end of the social-economic pile.